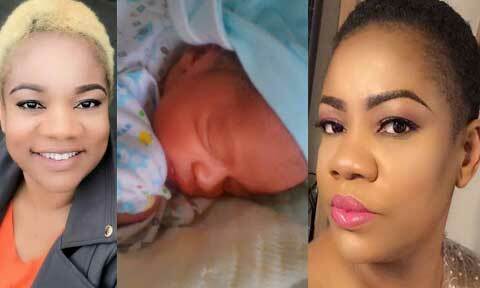 Nigerian Nollywood actress Opeyemi Aiyeola is now a mother of three children has she welcomes a new baby boy into the fold of her family. The actress got married to her husband Babatunde Olayiwola Owolomose in 2007 and since then God has shown them blessing with three lovely kids now. The excited Mother could not hold in her joy as she quickly brought the new blessing to the notice of her fans. “Hurray my champ is finally here. Give us the pinky anointing oh Lord. Wlc to my world my prince, my champ and my love.” She declared. The actress had gone missing for sometimes now on the screens as her sacrifice to build her marriage and in 2017 she had affirmed that more of her will be seen in 2018. Let’s believe that now that she has given birth, she will feature more in movies in coming months.